Today on my show I had the pleasure of a speaking with Maureen Daniek, Founder of Radiance Coaching and Consulting, who provided us with her best strategies for how women can learn to promote themselves in business. What are common situations in business where self-promotion is critical to success? Why is self promotion so tough for women? And, what are specific steps women can take to gain the support and confidence necessary to advocate on their own behalf? If you would like to learn more about Maureen and her coaching solutions, please visit her website. Enjoy the show! Thank you Maureen for sharing your valuable insights and experiences for how women can give themselves license to rave. 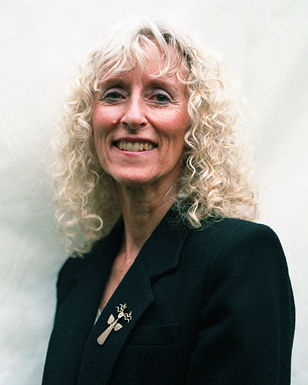 Maureen Daniek has over 35 years experience as a psychotherapist, coach,consultant, and entrepreneur. She is a strong advocate for women and believes that the business world needs the collaborative spirit that women are so naturally gifted in. She works with women who are dissatisfied with their current careers and are seeking work more in tune with their hearts desire. She also works with women entrepreneurs who are expressing their dreams in the building of their own businesses. She brings emotional support, wisdom, structure, and strategies into her coaching work. Women leave knowing what they want and how they will achieve it. Connect with Maureen on Twitter, Facebook, LinkedIn or her Blog. This entry was written by Dr. Shannon Reece, posted on January 12, 2012 at 6:00 am, filed under Spotlight on Success Episodes and tagged how to stand out in business, Maureen Daniek, self-promotion, small business tips, strategies for women. Bookmark the permalink. Follow any comments here with the RSS feed for this post. Post a comment or leave a trackback: Trackback URL.